Any reasonable client wants to know how much a project is going to cost. Some projects are fairly discrete and easy to budget. A contract review, negotiating a new employment agreement are a few that come to mind. Budgeting for litigation, however, is a herculean task. What may start out as a reasonable budget may bear no semblance to reality if an adversary takes an unexpected course during a case. In the world of trade secrets and non-compete disputes, the cost of legal services often times far outweighs the potential value of the claim. A recent Florida case, which dealt with little more than a breach of a no-hire agreement and relatively uncomplicated trade secrets misappropriation claim following a sale of business, resulted in a fee petition of $448,860.55. The plaintiff's counsel charged 2,265 hours of time to the case - about the same number of total hours (not billable) that I worked in 2010. (1) Raw emotion: Competitive disputes often result from a bad divorce among employee and employer. 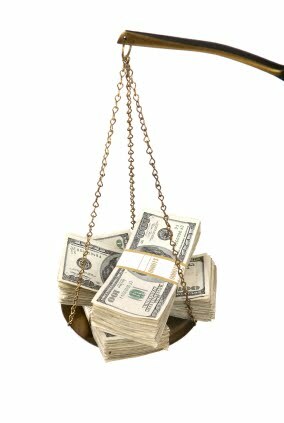 A pure economic analysis of whether litigation makes financial sense generally is not as critical of a factor as in other cases. (2) Speed: By definition, unfair competition cases have to move fast, particularly from the plaintiff's perspective. A preliminary injunction trial can effectively decide many issues in the case, which sometimes results in efficiency. Often times, however, it results in mutliple evidentiary hearings and several layers of fact discovery. (3) E-Discovery: Electronic discovery and the exploding volume of information available to attorneys has made commercial litigation extraordinarily expensive, especially for individual defendants. Projects such as document and privilege review and metadata searches consume far more time than clients expect. (4) Proof of Damages: Proving liability is not nearly as difficult in competition cases as establishing a legal basis for damages. Lost profits are especially hard to prove, particularly in cases of indirect competition. Even cases of trade secrets misappropriation are hard to quantify. Normally, expert witness testimony is required for complicated damages analysis, resulting in higher fees and discovery costs. (5) Number of Witnesses: In competition cases, there seem to be a lot of knowledgeable witnesses. Think about co-workers, customers, vendors, the new employer. Numbers add up quickly, and interviewing or deposing those witnesses is very costly. As a final note, the court examining the nearly $500,000 fee petition cut back the award by 67%, reasoning that the level of success achieved against the individual defendant was limited. By contrast, the corporate defendant had no fee liability, but it clearly was the target of the plaintiff's case.